FORMER Fremantle coach Michelle Cowan will head up the AFL Women's Coaching Academy, which was announced in August. 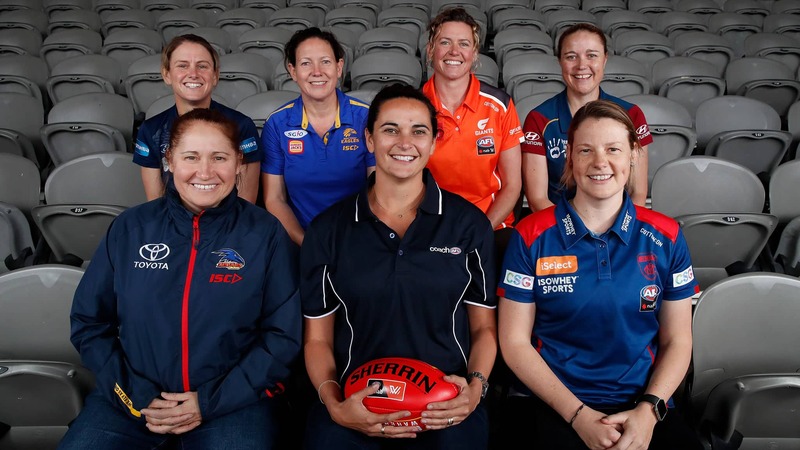 Cowan will act as a mentor to six female coaches identified through AFL and AFLW clubs and state bodies. "It's a great program which offers a really supportive environment to six identified coaches coming through pathway, so the opportunity offered to mentor and provide that environment really appealed to me," Cowan told AFL.com.au. The women are doing level three coaching accreditation course as part of the academy program. They will also have an individual development plan, be assigned a "bespoke" industry mentor and have placements and education sessions. "I would've absolutely loved to have something like this coming through as a new coach. I had incredible male coaching mentors, but to have support like this is a bit different,” Cowan said. "It's a great initiative and support coming through the elite coaching pathway." Cowan chose not to extend her contract with the Dockers after two years at the helm, but she has not shut the door on her AFLW coaching career. "Coaching is what I love and what I'm passionate about. There are a few opportunities on the table at the moment – I'm just weighing them up," she said.